Rae Ann has over 15 years of management experience with an emphasis on process re-engineering, employee development, and business alignment of IT services. She is known for her interactive, information packed training courses and her ability to tailor information to her participants so that they can apply it to their respective roles. Rae Ann has trained all levels of employees in the areas of Communications, Internal Marketing, Metrics and Process Improvement. Other areas Rae Ann focuses training on are: ITIL Service Management certification preparation, high performance teaming and leadership skills. Rae Ann draws many examples from her career experience. Formerly the Vice President of Strategic Relations for Previo, Rae Ann was the publisher of Previo's eZine, eSupport Perspectives and authored many articles and white papers published in various support and service industry publications and websites. In this role, Rae Ann consulted with Previo customers on process re-engineering and best practices and trained support professionals on industry best practices. Prior to Previo, Rae Ann was the Director of IT Customer Service for Siemens Energy & Automation (SE&A) where she started up an IT training and documentation department, re-engineered the Service Desk, and implemented Incident Management, Problem Management and Service Level Management across the IT organization. She came to SE&A from Cutler-Hammer where she re-engineered the Support and Security teams in her role as Enterprise Support Manager. In her previous role as the Training & Documentation Manager, she worked closely with the business units to develop and deliver business-focused training and support. Her training team won the Cutler-Hammer Award for their innovative and successful training program focused on raising the computer literacy of the Cutler-Hammer sales force through organized peer training. 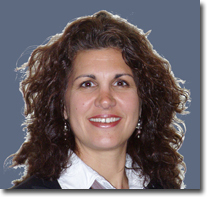 Rae Ann is ITIL certified and is a certified trainer for HDI for the Professional, Knowledge Management, Team Lead, Manager and Director Certifications. Rae Ann was nominated for the 2001 Computer World Premier 100 and was the recipient of the 99 Service Award from Service News. She was the co-chair of the Georgia 100 Mentoring program Alumnae Association and served on the World Leadership Team for Help Desk 2000. She is a regular speaker at leadership and support conferences.